We are proud to announce the following Charities were supported during the 2018 IAG Conference. For more information, click on the charity to view their website. The RFDS employs over 400 people in Queensland with positions ranging from pilots, doctors, nurses, engineers, allied health professionals, and a variety of administration and support services roles including finance, marketing and human resources. With its Queensland head office located at the Brisbane Airport, the RFDS operates 19 aircraft from nine operational bases located in Brisbane, Cairns, Townsville, Rockhampton, Bundaberg, Charleville, Mount Isa, Longreach and Roma. It was in March 1897 that seven women met in the Telegraph Chambers in Adelaide Street, Brisbane and formed the Queensland Braille Writing Association. 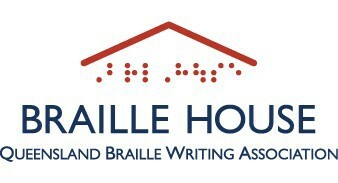 Braille House provides Braille and Moon tuition and reading material to empower people who are blind or who have low vision to live with dignity and independence. Library: a free lending library of braille and moon books. Transcribers: produce books and other resources in braille for children and adults, students of all ages, organisations and government departments. Tutoring: Our braille tutors are skilled in tutoring adults who wish to become touch readers of braille or moon script; most have passed the Trans-Tasman Braille Proficiency Exam. Explore our website to find out more about the Association, the range of services and resources available and ways in which you might like to assist our unique organisation. Founded on June 11 2012, Little Legs Dog and Cat Rescue Qld Inc is a small rescue; dedicated to rescuing and rehoming at risk small dogs and cats from pounds or in need of private surrender. All costs are covered by the adoption fees and donations. All animals are placed into loving foster homes, until a forever home is found.